One sure sign of a down economy is an uptick in collections war stories. For business owners, especially those at companies that rely on relatively small client bases, a couple of payments that stretch from a prompt net 30 to a sluggish net 45 can mean the difference between making payroll and facing an office full of angry employees. These days, no company can count itself immune to late-payment syndrome, and with revenue down and reserves already being tapped, not all small businesses have the cash cushion necessary to survive a client who turns deadbeat. When phone calls go unreturned and checks come back marked NSF, it's easy--and understandable--to get angry. It may even be tempting to go Goodfellas on a client with delinquent debts: You're behind on bookkeeping because your mom is in the hospital? Pay me! A fire at your office building destroyed all your records? Pay me! But you don't need to hire a couple of goons to collect the money you're owed. And you don't always need to enlist the help of a collections agency, either. Collections experts say that when properly managed, billing and collection strategies can help strengthen client relationships instead of reducing them to a trail of burned bridges. Here's how they recommend handling some familiar collections scenarios with clients who have already fallen behind on their payments. The problem - The bill is already 25 days past due . . . and now your client asks for an installment payment plan. Don't become your client's bank if you can avoid it, experts advise. Suggest alternate forms of payment: credit cards (business or personal) or other accounts to which the client may have access. "If they've got an order for $500 or $1,000, and the owner won't put it on his credit card, you've got a problem," says Steve Wideman, executive vice president of debt-collection service Credit Control LLC. "You're not going to collect. If he won't put it on his own credit card, then you know he doesn't have the confidence that he's going to have money to pay for things." If you do allow an installment arrangement, start asking your client what caused the delay, and listen closely to the answer for clues about his circumstances and their impact on you, says lawyer Steve Harms, co-author, with Aaron Larson, of Credit & Collections Kit for Dummies, coming out in September. "If there are serious problems, then I would probably set up an installment payment, with the first payment due today." Insisting on "today" is key, he says, because it's a test of whether the client is lying. Wideman advocates a similar approach. "I can work with you," he says, "but I need to get the check when you tell me you're sending it. No more excuses." The problem - The customer apologetically says personal problems are preventing him from keeping up with billing. An elderly parent requires increasing care and supervision. A newborn is placed in the neonatal intensive care unit. We all have to contend with serious problems that can shift our focus away from running a company. In this situation, don't fall back on the phrase "it's just business," Harms advises. Customer relationships generally hinge on some sense of personal connection, and it's important to acknowledge that, without allowing the relationship to override your own need to be paid. Harms advises that you remember the following: "Somehow I've got to get him to prioritize my bill even though he's got personal problems." To do that, he advises structuring a request for payment in a way that reflects concern for the client and cautions him against compounding his personal problems by creating credit and business problems. "You've got other priorities, and one of them is to keep your business intact. That's a very important priority, and you'll be falling back on that once your personal issues are resolved." Alan Hauff, director of the University of Missouri-St. Louis Small Business & Technology Development Center, cautions small business owners against trying to impress their clients by acting as though a 30-day payment delay won't cause them any problems. They fear appearing desperate, when in fact, they're just seeking closure of the business transaction. "One of the challenges that business owners have is that when we make the call, we hear all these excuses," he says. Learn to flip the conversation. "Bring it back to: 'We need this business relationship. You need it, I need it, we need it.'" Whatever you do, don't try to use this ploy with Harms. "I can kind of turn that back on my friend a little bit," Harms says. "I'll say, 'Because we do have a friendship, let me tell you why paying your bills on time is your top priority. You do not want to have a reputation issue. You do not want to have a black mark on your credit. You do not want us to have a bad relationship where if you needed a rush order, I couldn't ship it to you unless you sent me a check by overnight mail. So since we are friends, let me tell you how important that really is.'" You've got to be assertive, he adds. "And if the friendship falls off a bit, so be it. Your obligation is to your company." 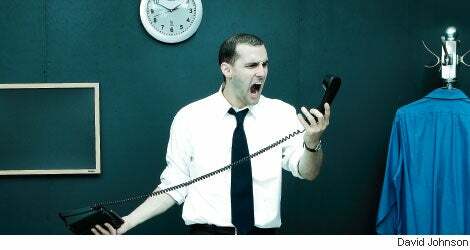 The problem - The customer doesn't take your calls or respond to voice mails and e-mails. Check your records to see if you've had payment problems with this client in the past. Go online to see whether the company's website is still live, and see if it has been updated with news that might be related to your payment problem. Confirm that the business still exists, that it is still physically there, in operation and viable. Send a certified letter to confirm that the client is still receiving mail. Ask around to see if other suppliers are also experiencing slow payment problems from that client. Check your credit file on the client for additional contact information: home or cell phone number, home address, personal e-mail address, even Facebook or Twitter contact information. "At this point, I'd call him at his kid's bar mitzvah," Harms says. "That's a fire that I need to put out, because that reflects a change in customer attitude. Now I'm not going to be happy until I get a check in the mail." The problem - The first check was "in the mail," but it never arrived. Ditto the replacement check. Don't allow another check to be "put in the mail." Tell the client you're sending your overnight delivery service to his office that afternoon to pick up the payment for next-day delivery, and insist on the payments being in the form of a cashier's check. "Frankly, I think he's a liar at this point. And once he's lost his credibility, then you've got to pull out the stops," Harms says. Still, Harms advocates keeping your temper under control: "Don't let the debtor get the better of you. If you get off the phone and you've got nothing but anger to show for it, you've lost." Wideman agrees that while it's still not productive to lose your cool, at this point, you have to call your client on his failure to honor his commitments. If that burns a bridge, so be it. He adds, "They are not a good customer if they are not paying you." You already know that a check that bounces or is drawn on a closed account can throw your own payables into turmoil. What you may not know is that if you deposit a fraudulent check from a client, your bank may have the right to close your account and freeze your funds. If you receive a payment in a form that leaves you uneasy or outright suspicious, protect your company and its funds by asking your bank for advice about how to handle it before you decide to make the deposit. information about how to protect your business from any repercussions. Even better than resolving delinquent payments is avoiding them in the first place, which is why Wideman makes billing calls to new clients before their first payments are due. His pretext for calling? He wants to make sure the invoice was clear and that there are no problems with the product or delivery. That call gives him the chance to establish that he held up his end of the deal and that he expects timely payment. Essentially, he's training clients to pay on time. And there's no need to be shy about making the call. "You've provided the service. You need to complete the sale," Hauff says. "The sale is complete when you get the money in your account." Are you setting the stage for late payments? Not all delays in payment can be traced to some problem on the client end. Sometimes, the fault lies in flawed billing systems and practices. It's easy to get caught up in a marketing push for a big new account and forget that you still have to get bills out on time. But an invoicing delay at your end increases the chances that your client won't pay up. Bill your clients monthly and they'll find it easier to manage those payments. Wallop them with a big bill at the end of the quarter or the end of the project, and they'll resist paying the full amount. They wouldn't have balked at the same sum had they had the opportunity to pay it in increments. So the first step toward getting your bills paid on time is making sure you send them on time and in easily manageable sums. Before you call a collections agency . . .
No matter how skilled you are at client management, you're bound to be saddled every once in a while with a billing problem you can't resolve. If you've decided to turn an account over to a collections agency, make sure you have copies of all the billing correspondence you sent to the company. You should also have kept a written record of your billing calls and notes about the person you spoke to. "Sometimes it's a matter of finding the right person within that company and making sure they know that a bill is still outstanding and needs to be paid," says Valerie Hayes, corporate counsel and vice president of legal and government affairs at ACA International. You should provide the collections agency with a breakdown of the most recent billing statement to show both the principal owed and any interest that's accrued on the account. Hayes advises researching collections agencies before you need their services. Get references from companies whose business is similar to your own. Ask in advance about what they charge to collect accounts, their fee schedules overall, and what kind of billing services they provide. She adds that some agencies' offer handling all billing services, which can help contain staffing costs.